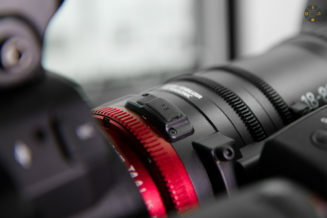 The glass is marketed as a Cine-Lens and features a T-Stop scale, gearings for focus, zoom and also a zoom servo-motor with a optional zoom-grip with proportional zoom-rocker. When you take a quick look at the lens, it looks more like a broadcast video lens with the attached zoom grip on it rather than a Cine-Lens at first sight. But look closer, there’s more, a lot more to find out if this lens is for you or not. 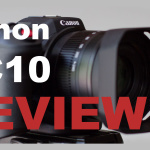 The single most eye-catching feature on this lens is it’s optional zoom-grip (Canon Zoom Servo Grip ZSG-Z10), which is has also one downside, that it is optional. But that’s basically all negatives to say about the grip. 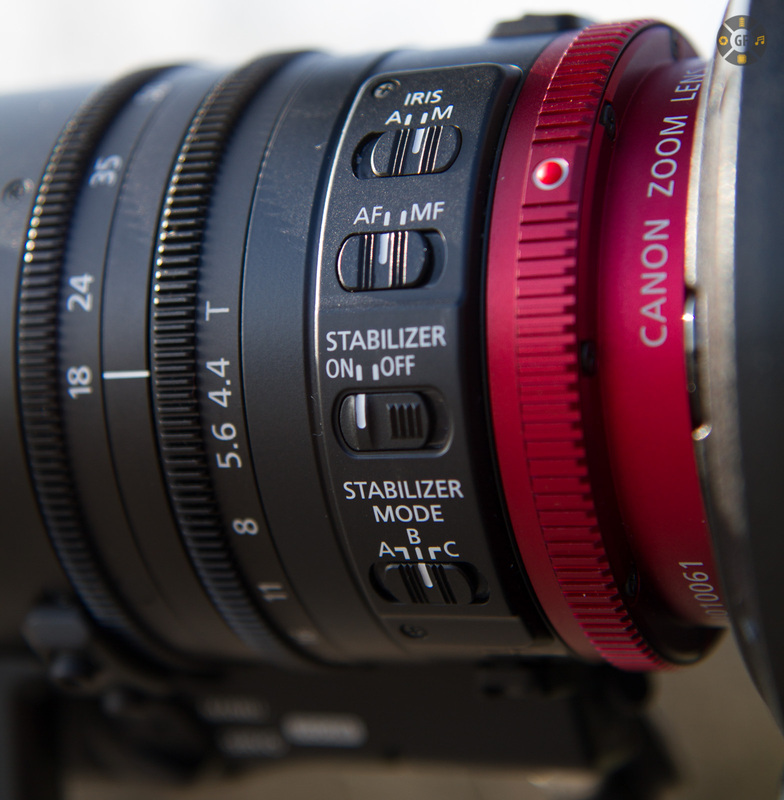 With the big zoom rocker on the grip, smooth accelerated zooms are possible and when pressed fully the zoom speeds through the whole zoom range from 18mm to 80mm in about 2 seconds. At the slowest speed the zoom motor needs circa 1 min. and 20 sec. for the whole zoom range when the zoom rocker is only pressed a tiny bit. It’s a shame that the zoom-grip is not included as standard accessory. There are little zoom buttons and a tiny zoom speed wheel on the opposite lower-side of the motor-unit if you really don’t want to buy the extra zoom-grip. But I must admit that I have not tested the buttons because in my opinion they make no sense for this lens. 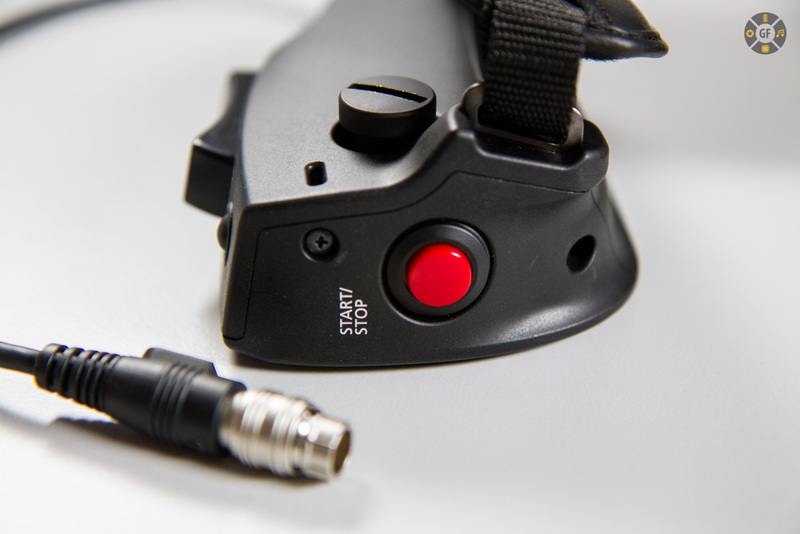 The optional hand-grip can be rotated for alternative holding positions by loosening a wide flat screw and can be fastened with a coin or a washer. The grip includes a One-Shot-AF on top and Record Button for the thumb. Because the handgrip is optional, it’s zoom rocker has to be wired with the motor unit. 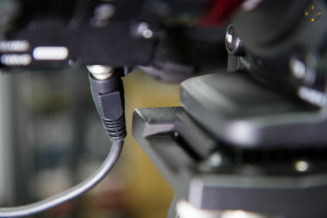 Unfortunately this does has the little side-effect that I could not manage to balance the camera more to the back on the Sachtler mounting plate because the attached cable got in the way. It might be a different situation with other mounting plate systems, but could lead into an isue. 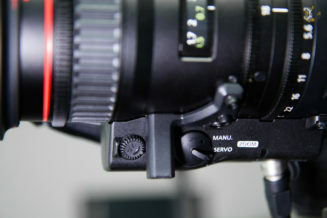 The motor noise is slightly audible when at maximum zoom speed and could be picked up by an mike that is placed directly above the lens, but at normal and slow zoom speeds the motor is virtually silent. With a Canon C300 (Mark II) camera it is possible to use the camera’s handgrip-joystick for the zooming operation. 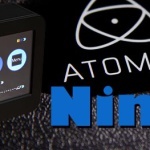 This can be enabled via camera menu where the zoom speed can be set in 16 steps. 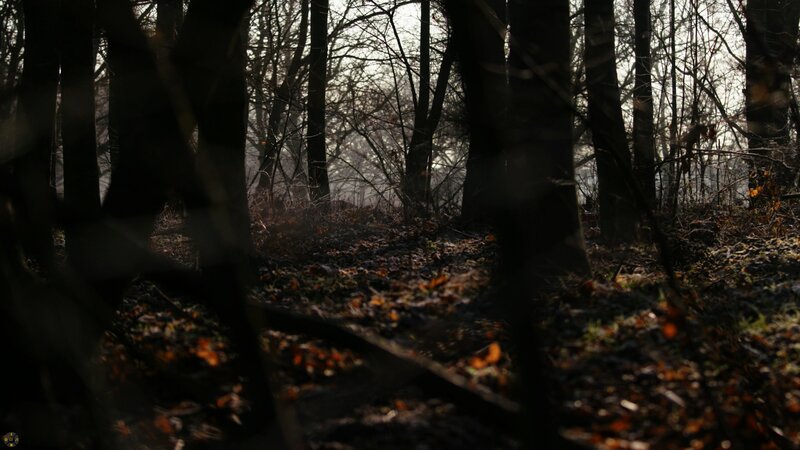 When I used the lens out in the field, I used it alone, docu style, without an camera assistant, so I used focusing assist functions on the Canon C300 MkII to get a propper focus. DualPixel Autofocus works great with the lens and focus assist tools are usefull, especially when filming 4k, focusing is very accurate and precise. Focusing speed is medium, like a human camera assistant would turn the focus. Even though the focus ring has no hard stops from near to far – actually has very subtle soft-stops – it was more less ok to focus with the lens. Although the focus ring is really the only element on the lens that does not deserve the Cine tag, because of the lacking hard stops and makes the focusing-gear-ring somehow obsolete for this lens. The focal lenght range starts at 18mm and ends at 80mm which pretty much covers most needs for everyday movie or docu shooting, altought it’s lowest T-stop (not f-stop) starts at T4.4 which equals to a f4. This is not as open as one would wish, but if it would be a T2 or even a T3.5 the lens would be much heavier, bigger and much more expensive. 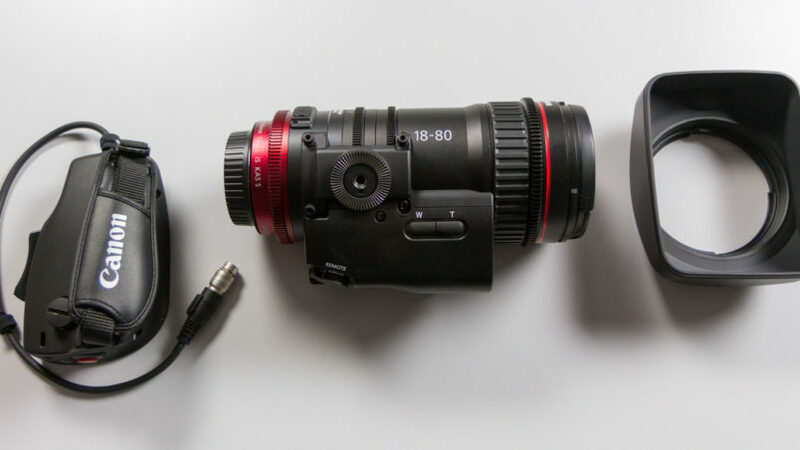 The Canon CN-E 18-80mm T4.4 Cine-Servo-Zoom (wich supports Dual Pixel Autofocus on Canon Cine Cameras) has a price tag of €4.500 (EU) and an additional €400 for the optional Canon ZSG-C10 Zoom Grip, wich makes the lens the most affortable Cine-Zoom-Lens on the market right now. Compared to Canon 30-105mm T2.8L (€15.800), the Canon CN-E 15.5-47mm T2.8L (€23.000) the 18-80mm T4.4 is relatively inexpensive. The lens clearly is aimed at docu filmmakers without an AC. 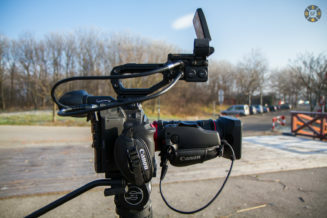 The body is made of metal with a few plastic and rubber parts and is relatively lightweight with it’s 1.2kg and can be used without a lens-support, but is always a good idea to relieve the strain on the lens mount, especially when you plan to use the handgrip to hold the lens/camera when filming from your shoulder. 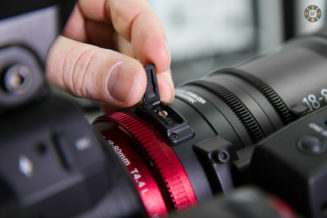 The lens is EF-Mount only (no PL-Mount) and if used without lens support, a Canon Cinema Camera with EF-Lock Mount is reccomended to avoid wiggling of the lens on the normal EF-Mount. The aperture wheel turns smooth, without clicking stops from T4.4 to T22, closes the aperture completely when turned beyond T22 and can be operated remotly over it’s gear-ring. With a Canon Cinema camera the aperture can be controlled by the camera’s auto-iris controls when the Auto-Iris switch on the lens set to on. 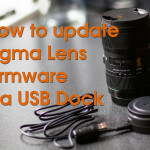 Canon stated in the manual that the lens is not weather sealed, but the lens mount has a rubber seal to help hold off dust and there is a ENG-Style, robust rubber sun-shade included. As a professional lens, it also features backfocus adjustment, which is great, but should really be done in a studio enviroment. When setup correctly, the lens is parfocal and focus stays same on the whole zoom range from 18-80mm. There are two screws hidden on top of the lens, protected by a rubber-flap. The black screw to loosen the back focus and the silver screw to adjust the backfocus. When adjusted properly the lens is parfocal, meaning the focus stays the same no matter at what focal lenght. 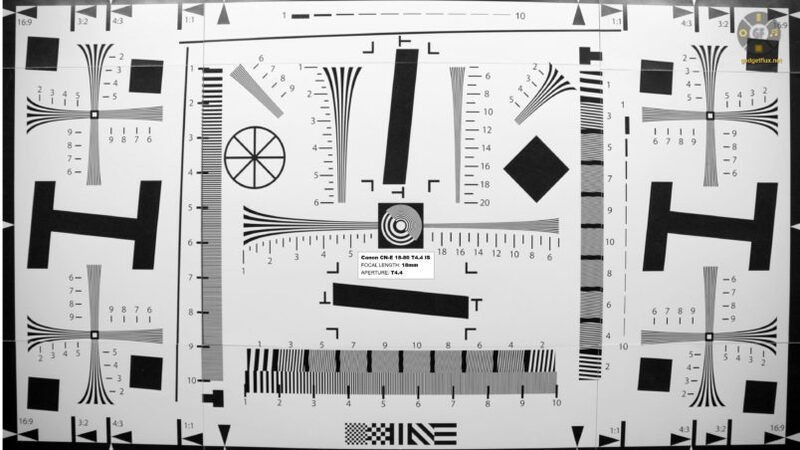 Adjusting the backfocus is a bit micromilimeter fiddling and should be done with absolute care. 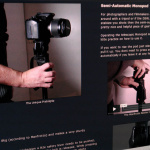 For handhelp operations the lens features a 3-step optical image stabilizer. 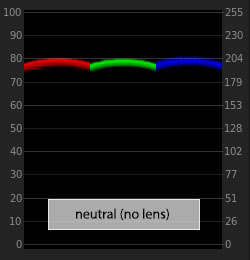 The modes A, B and C can be set via the usual switcher on the side of the lens and has pretty similar haptic like the ones found on the photo lenses. 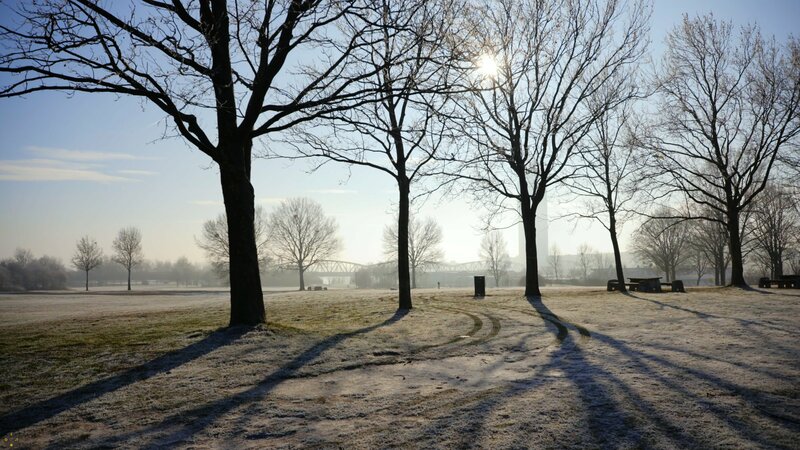 Most usefull is mode “B”, which stabilizes the image very nicely even with the maximum focal lenght of 80mm. 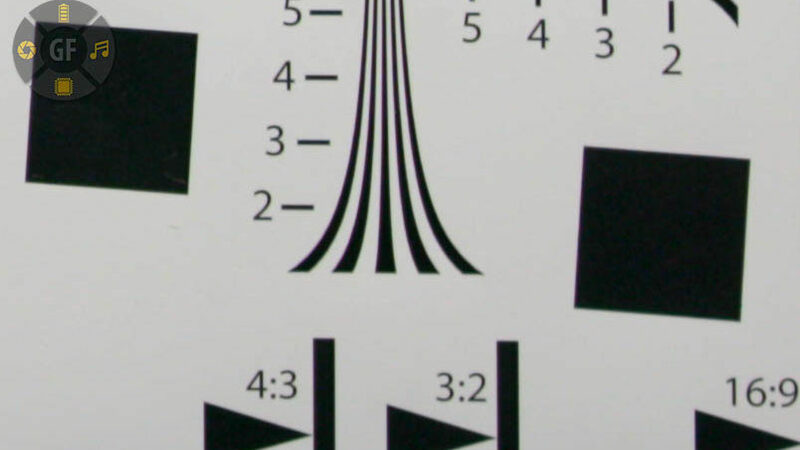 Mode “A” is slightly less stabilizing than mode “B” but does not have the image fluctuation effect when moving the camera. Mode “C” is ment for tripod operation. 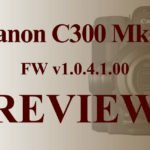 When the lens is used on a Canon C300 MkII, there are plenty of ways to use the AutoFocus as an assitant function like the Focus Guide or the AF-Booted Manual Focus. Even with the Face-Detection the lens hits the focus pretty good in most cases and tracks it when the subject is moving. 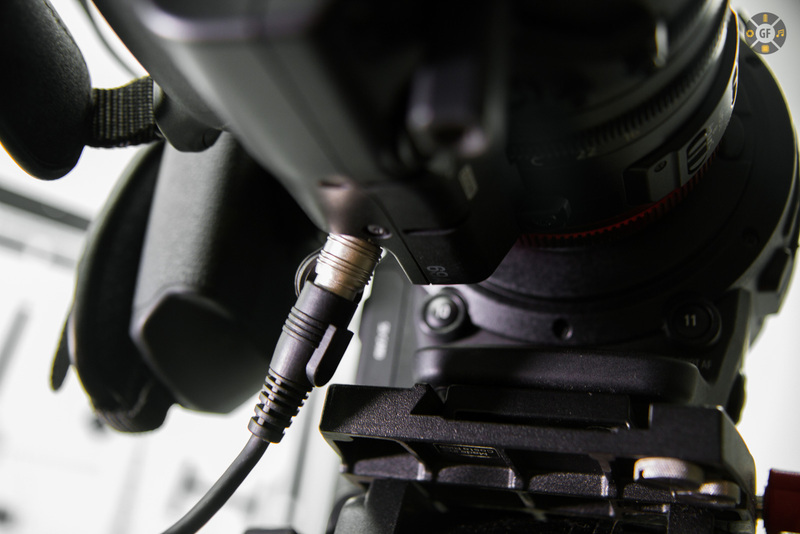 Although is is not the fastest, even with the highest autofocus speed set to +3 on the Canon C300 MkII. 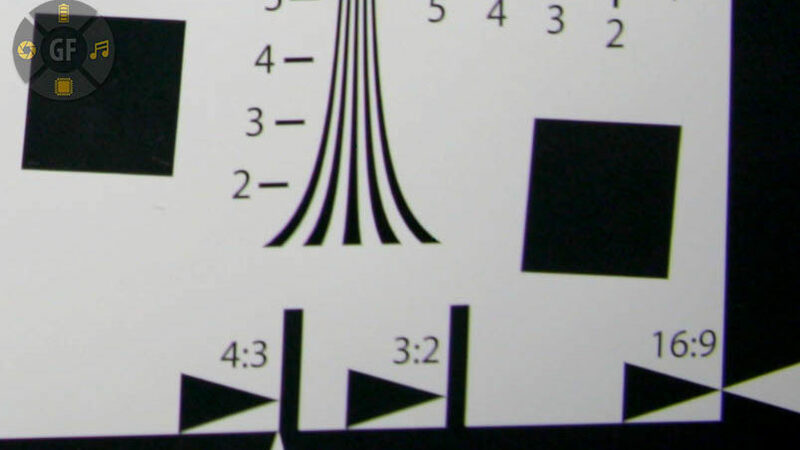 The unwanted zoom-effect when focusing ranges from very good to nearly good. On booth ends at 18mm and 80mm the lens is breathing most, but still much less than most photo lenses out there. 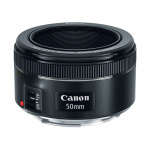 At 50mm and 35mm it suffers less breathing and the sweet-spot is 24mm with absolutely no lens-breathing at all. Anims below showing breathing from near to far focus and the in-focus-frame in the middle. 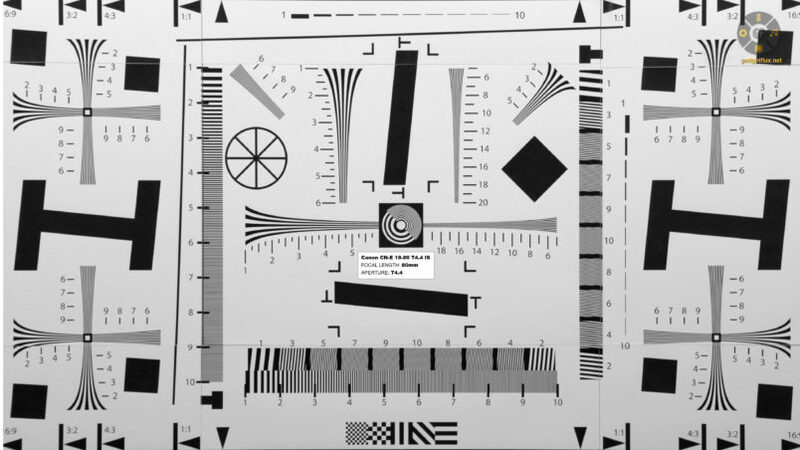 These tests are made at T22 to actually see the focus breathing, because when you test it at T4.4 you don’t see that much breathing in this lens and breathing is obscured by blurred out-of-focus images. Every lens has a certain amount of tint, a color tone which comes from various factors like the glass used and the lens-coatings. Below is the comparision between the white of the Canon 300 MkII without a lens on it, RGB-Parade corrected to be neutral and then with the Canon CN-E 18-80 T4.4 put on to see what color tint the lens is showing. 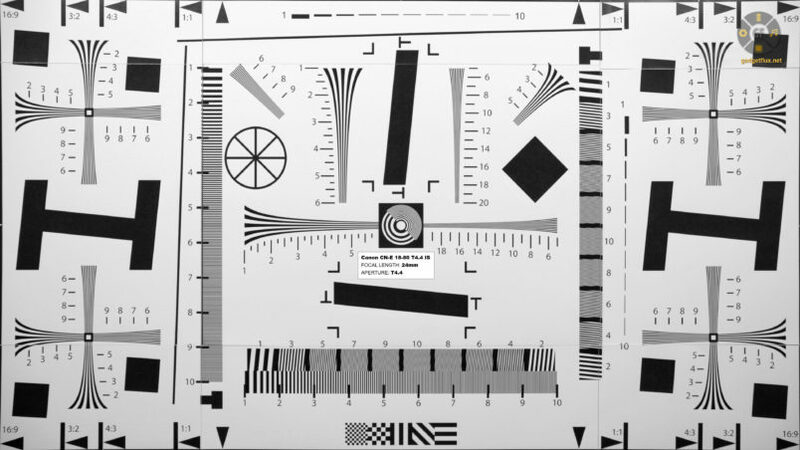 On the left is the neutral camera image and on the right is the lens. Subjective image quality is very nice, sharp and the glass is not very prone to flares due to sophisticated lens coating. The lens delivers close to 1800 distinguished lines at T4.4 at 24mm from center to edge with decreasing edge sharpness at 18mm and up from 35mm to 80mm. Lens barrel distortion is present at 18mm, but at 24mm the image is perfeclty straight booth horizontally and vertically which makes 24mm the sweet spot for this lens. Zooming further to 35mm and 50mm increases pincushion distortion and is seen at it’s maximum at 80mm. 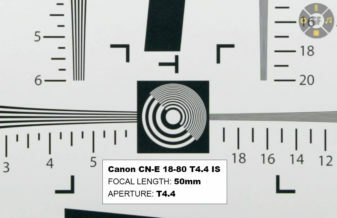 Achromatic aberration and vignetting is greatly reduced when using the lens on a Canon Cinema Camera with lens corrections enabled. Unfortunately there is a slight brightness jump on the edges between 24mm and 25mm when zooming with peripheral illumination correction enabled on a Canon C300 MkII. This needs further investigation if there is a lens correction data problem with the camera. The lens features a constant aperture T4.4 (f4) throughout the complete zoom range from 18-80mm with a few percent insignificant brightness drop between 50mm and 80mm. 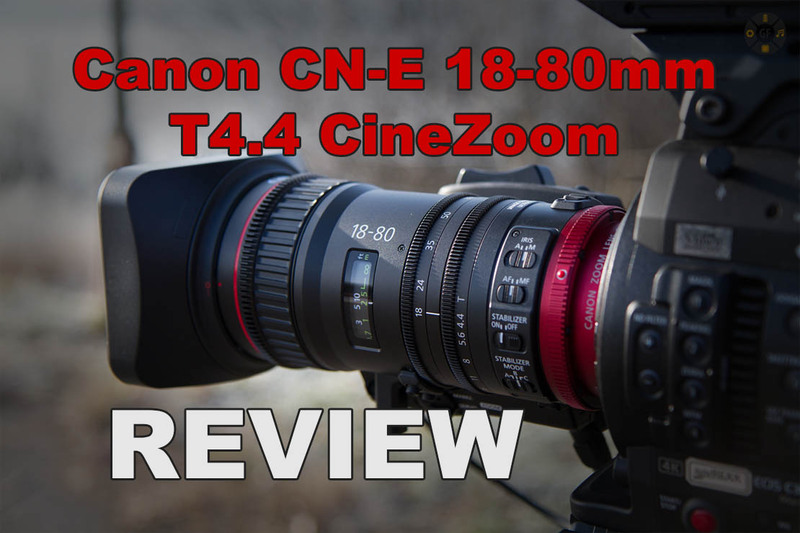 Canon’s least expensive lens for their Cine-Line CN-E, the 18-80 T4.4 is a high-quality lens comparable to the better L-Series photo lenses, but with advantages of the Cine-Line like adjustable Back-Focus, nearly 4K sharpness, DualPixel Support and a good working (optianal) zoom grip with zoom rocker which makes the lens great for low-budget filmmaking. Altought the minimum T4.4 (f4) will bother some cinematographers and the missing hard stops on the focus wheel targets the lens more towards the single camera operator without much crew around him. But the goal of a lens is to render beautiful images to the camera’s sensor and this Canon glass manages nicely. Many thanks to AVISYS and Christian Zorzi to get the lens for me for the tests! 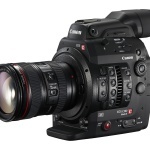 Get more info about the Canon CN-E 18-80 T4.4 CineServoZoom at Canon’s Product page.